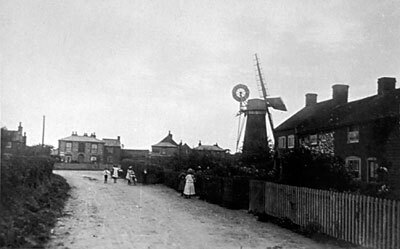 Burgh St Margaret tower mill and it's buildings stood beside the Post Office in Mill Lane in what is now known ad Fleggburgh. 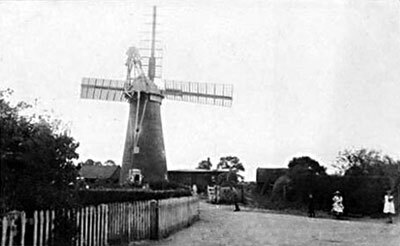 The 5 storey mill had a Norfolk boat shaped cap with a gallery and a 6 bladed fan. Power came via 4 double shuttered sails, one pair having 8 bays of 3 shutters and the other pair having 8 bays of 3 shutters on the outer side and 4 pairs on the inner side. The sails were struck using a chain pole. 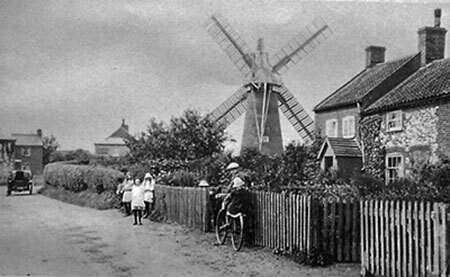 All that capital Freehold new brick built TOWER WINDMILL together with two new built Cottages & about 39 perches of Land situate in the parish of Burgh St. Margaret in the county of Norfolk, now in the occupation of George Starling. The above Premises are in excellent repair & possession may be had immediately. Further particulars on application to Messrs. Sayers & Son, Solrs. Great Yarmouth. 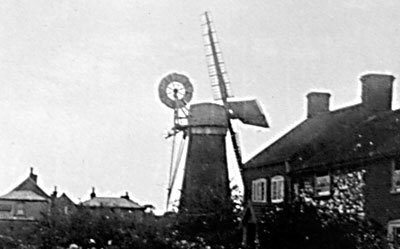 All that capital new brick TOWER WINDMILL together with two Cottages & about 39 perches of Land situate in the parish of Burgh St. Margaret in the county of Norfolk, in the occupation of George Starling. The above Premises are in excellent repair & possession may be had immediately or at Michaelmas next. Particulars on application at the office of Messrs. Sayers & Son, Solrs. Great Yarmouth or to the Auctioneer, Regent Street, Great Yarmouth. Map. T.F. Brown & Josh. Manning, Surveyors, Norwich. 1839. Mrs. I. M. Clegg of Brentwood, Essex, wrote to Harry Apling on 8th February 1973 to say that her grandfather Robert Butler was born in 1837, to George & Maria Butler. George Butler was then miller at Repps_postmill but by 1845, Maria was alone and the miller at Burgh St. Margaret postmill. Situated at FLEGGBURGH near Filby, driving two pairs of stones etc. with Dwelling house and Premises. Immediate possession may be had if required. For Rent and particulars inquire on the Premises or of Mr. E. Martin, 32 Southtown, Yarmouth. Capital Freehold brick tower windmill with dwelling house, yard, stable & outbuildings all in Burgh St. Margaret, let to Mr. B. Starling at £20 per annum. Adjoining dwelling house, shop, & yard let to Mrs. Laxon at £10 per annum. Lot 1. A capital Brick Tower WINDMILL with Dwelling house & Yard Stables & Outbuildings attached, in Burgh St. Margaret, let to Mr. B. Starling at £20 per annum. Lot 2. Adjoining DWELLING HOUSE, shop & Yard let to Mrs. Laxon at £10 per annum. Lot 3. Two semi-detached Freehold COTTAGES with Garden attached & adjoining the last Lot, let to Mr. R. Took & Mr. B. Starling. Lot 4. Freehold COTTAGE & GARDEN adjoining, let to Mr. Thomas Took. Particulars of the Auctioneer, Great Yarmouth. Sale of effects of Mr. B. Starling, leaving neighbourhood. 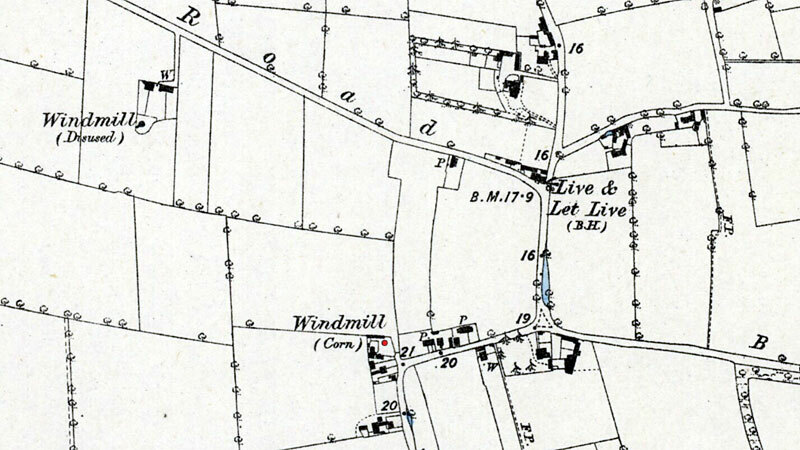 A freehold Wind Flour Mill & Dwelling house; also a grocer's shop & dwelling house. Apply to Mr. William Green, Burgh St. Margaret. A Norfolk Archaeology manuscript recorded that James Laws, R. Mayhew were also millers.